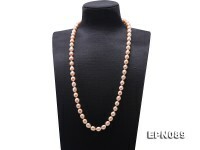 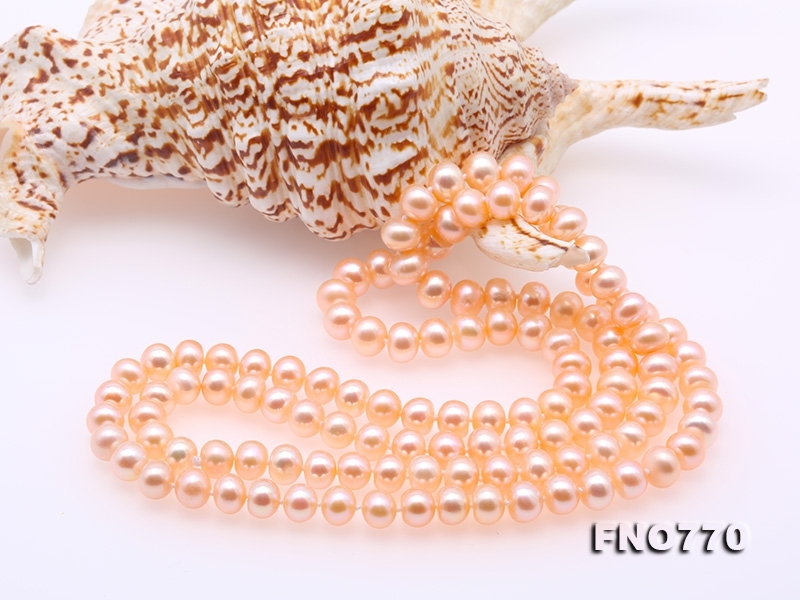 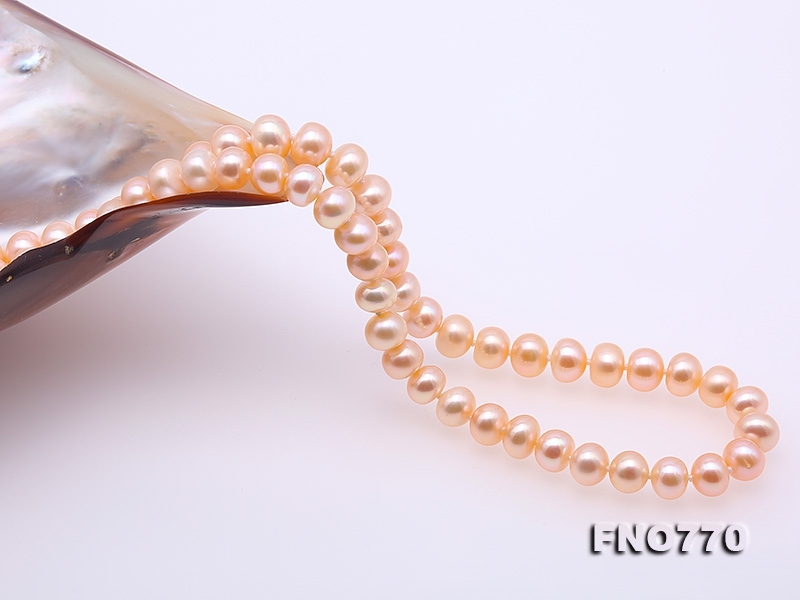 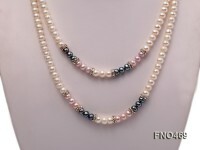 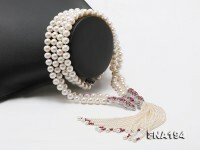 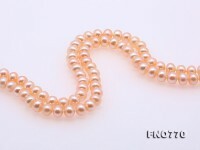 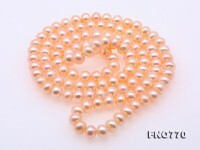 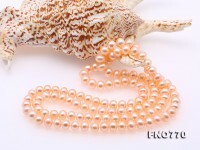 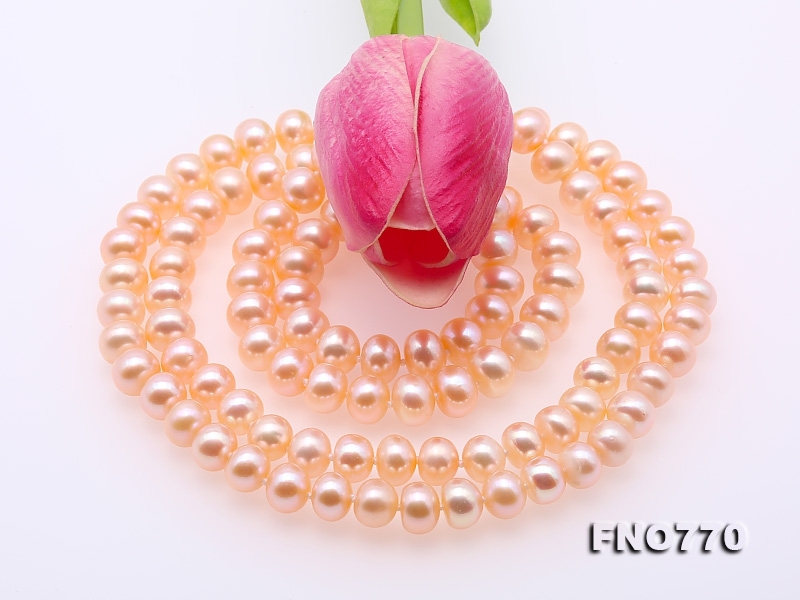 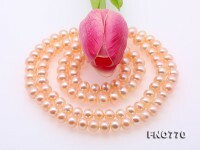 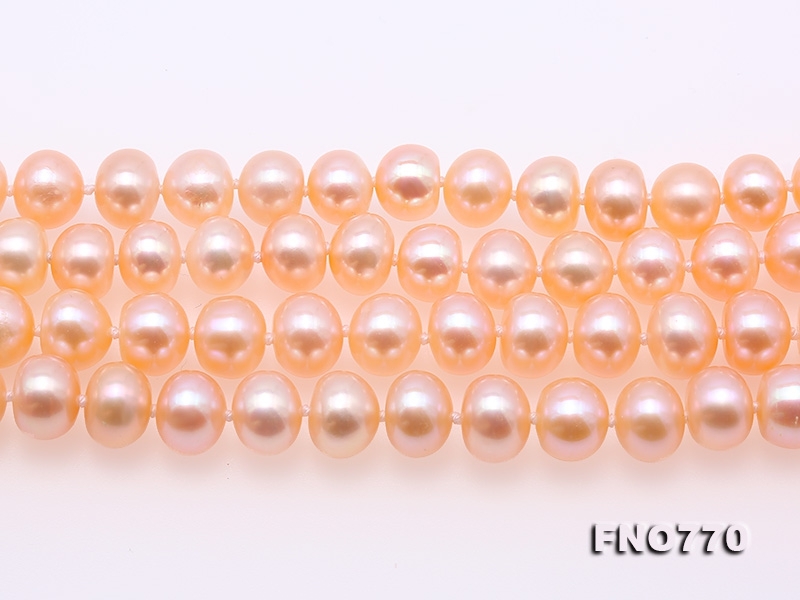 This is a classical pink pearl long necklace made with high quality 8-9mm flatly round freshwater pearls. 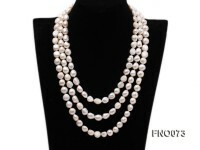 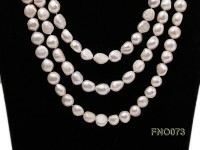 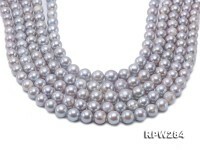 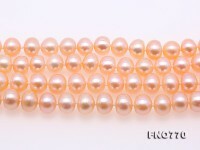 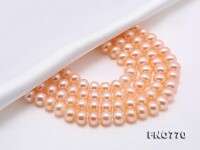 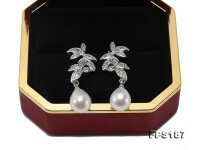 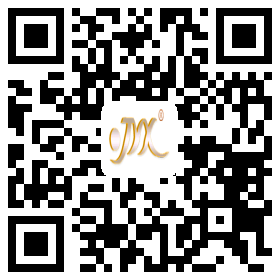 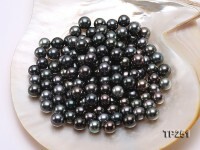 The pearls have symmetrical shape, smooth skin, and very stong lustre. 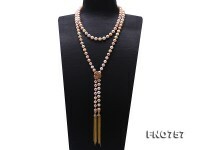 The necklace can be worn in different ways. 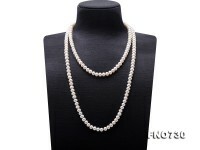 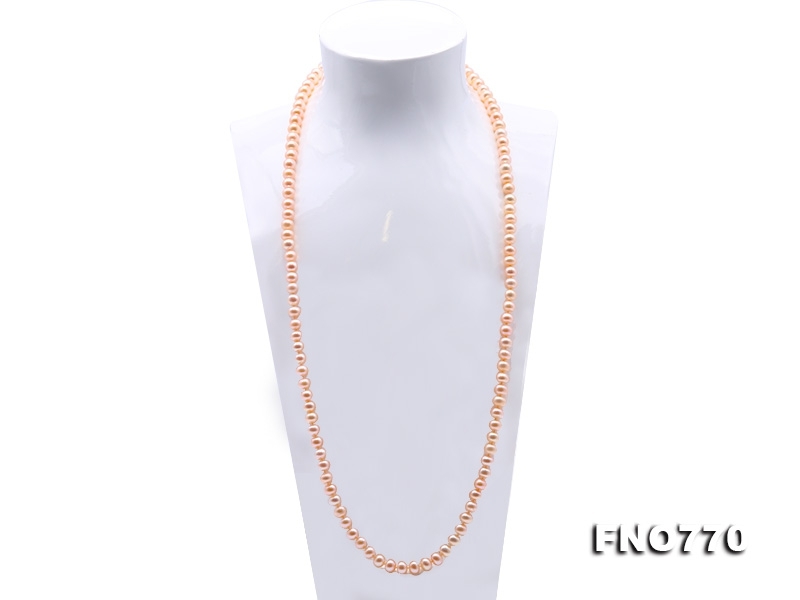 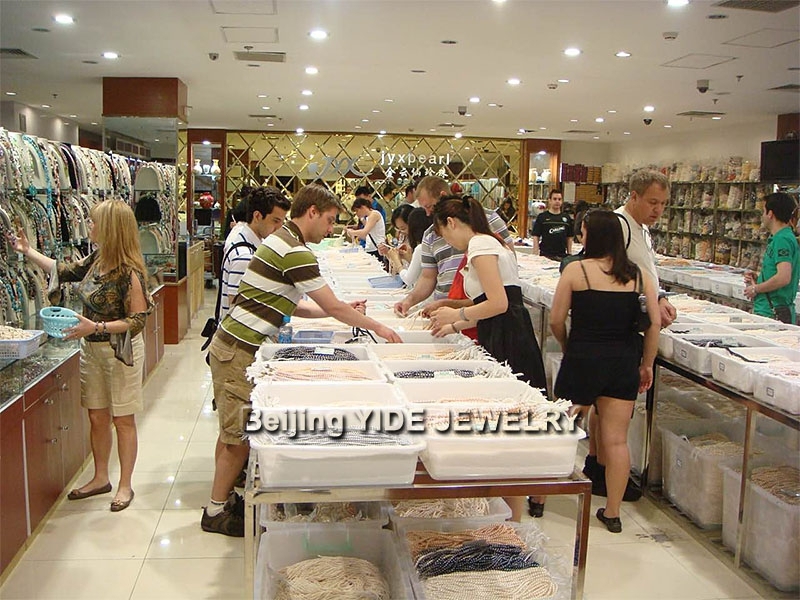 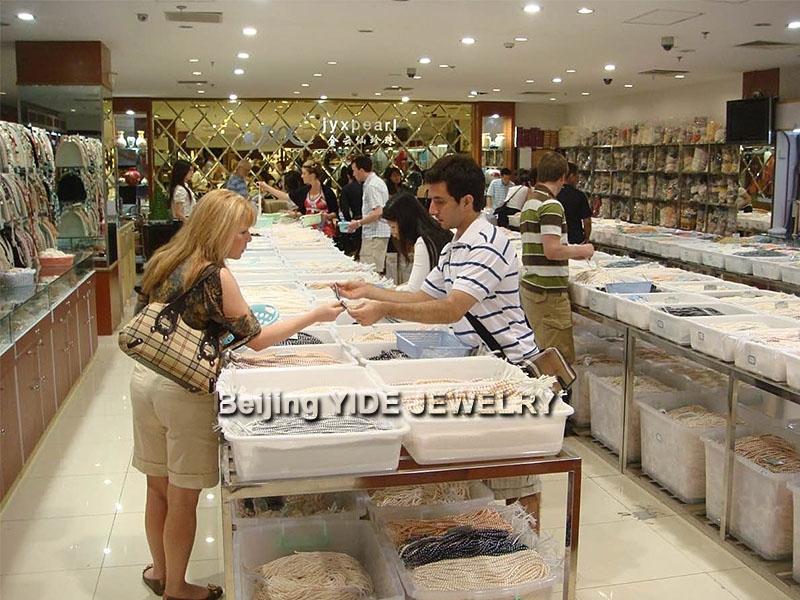 Match long pearl necklace together with jeans can have special charm. 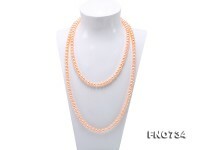 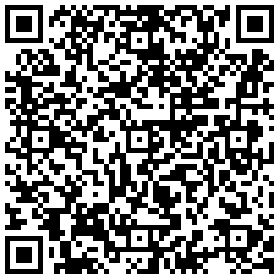 You can also enwind it on wrist, waist, on bags, or even through hair.